If you suffer from indoor allergies, you want to avoid having wall-to-wall carpet in your bedroom. Carpet traps common allergens such as mold, mildew and dust. However, carpet is undeniably the top choice in bedroom floors. It can be hard to consider what other flooring options might be available. Indianapolis flooring store, Kermans, has a few suggestions to consider. Aside from those practical benefits, hard surface floors are so versatile that you can find one to match any decor. Luxury vinyl and porcelain tile in particular are fun options because manufacturers continue to get more and more creative with the look of that top layer. These floors look and feel so much like wood or even fabric that it can be hard to tell what they are made from! People tend to shy away from hard surface floors in the bedroom because they aren't comfortable underfoot and tend to be noisier than carpet. We have the perfect solution: area rugs. 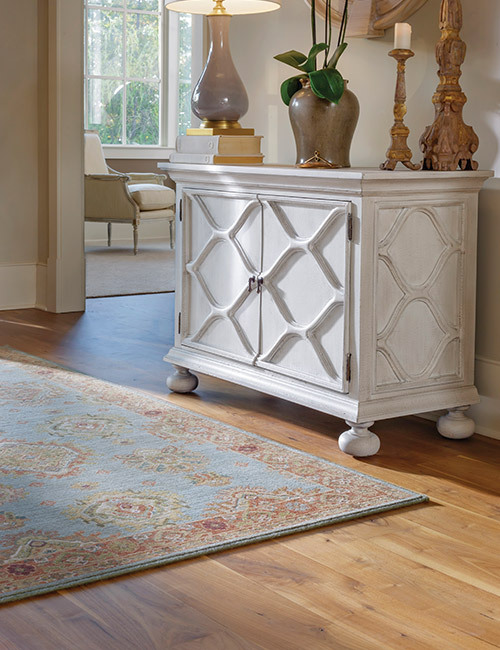 Area rugs carry many of the benefits of carpet - they quiet a room, feel soft under your bare feet, and give you a warmer floor. However, area rugs are easier to clean and air out. 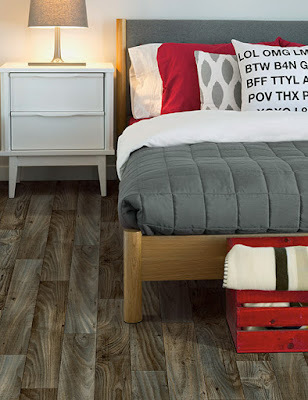 Bedroom flooring trends: ditch the carpet! If you suffer from allergies, come to Kermans Indianapolis flooring store and ask to see our large selection of hard surface flooring. From tile to luxury vinyl, hardwood to resilient flooring - we have options that meet your needs, budget and home design.